Home / Anarchism / What is an Anarchist? Am I an Anarchist? We republish: What is an Anarchist? Am I an Anarchist? Written by Wayne Price. Anarchism is an uncertain term. 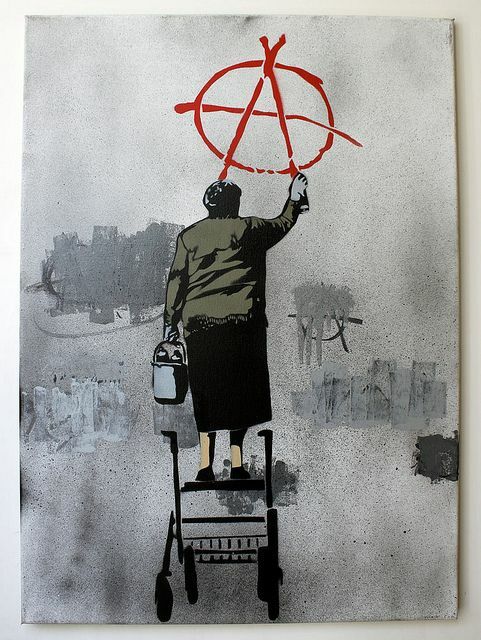 Self-identified anarchists sometimes see their particular school of anarchism as the only legitimate type of anarchism. For example, I have been told that I am not an anarchist or that what I believe is not anarchism. This happens most often over discussions about anarchism and radical democracy, or anarchism\’s use of aspects of Marxism, or support for technology, or advocacy of the self-organization of revolutionary anarchists. However, like other anarchists, I reject Marx’s program of a transitional “workers’ state” or “dictatorship of the proletariat.” I reject Marx’s strategy of building workers’ parties to run in elections or to take state power in some other way. I reject Marx\’s economic program of national ownership of industry by the state. I condemn all the states established by Marxists; I regard them all as state capitalist. (This includes the one-party police state established by Lenin and Trotsky, which the Trotskyists still endorse.) Despite the scientific and humanistic aspects of Marx’s vision, Marxism repeatedly led to disaster: social-democratic support for their imperialist states, and then to mass-murdering Stalinist totalitarianism—and finally to the collapse of these regimes back to traditional capitalism. These results are rooted—I believe—in Marx’s authoritarianism, his centralism, and his teleological determinism. Reflected and well written. Anarchy is in many ways democracy in it’s pure form. To me anarchism is about never accepting any form of oppression at any level. Thank you for this post, I shared it on Twitter. Why allow our lives to be dictated to, controlled and run by a government, which can not run itself? Government is not a necessity to life, but since people alive today, have NO idea how to live without government, they now see it as necessary. It is NOT! Any form of control of others by a centralized form of power, can, and often does, become oppressive to those people, in favor for its own goals, not those of the people they are supposed to represent. Anarchy is simply put: SELF RULE! I am unclear whether American Patriot thinks that he or she is opposing what I wrote, perhaps in the first section on anarchism and democracy. I thought I was clear that I was not for any sort of “government,” saying that “when everyone is involved in governing themselves then there is no government”, that is, no state, no “centralized form of power” in AP’s terms. I am indeed for SELF RULE, but I believe that there are decisions which must be made collectively, by a community or group or workers or consumers in an industry, and self-rule in that context can only be (radical, face-to-face, direct) democracy. fictionspawn is obviously a highly intelligent and moral person (since he or she agrees with me)! Agreed Wayne. Thanks for your comment.